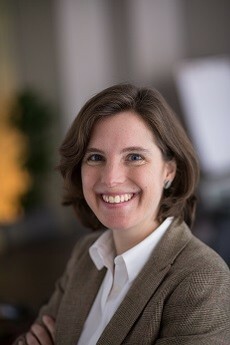 Dr. Elizabeth Selvin is a Professor of Epidemiology at the Johns Hopkins Bloomberg School of Public Heath and holds a joint appoint in the School of Medicine, Division of General Internal Medicine. She is currently principal investigator of grants from the National Institutes of Health, the American Heart Association, and the National Kidney Foundation. Dr. Selvin is an internationally recognized leader in the field of diabetes and cardiovascular epidemiology. Her work on the association of hemoglobin A1c (HbA1c) with complications and its role in the diagnosis of diabetes has directly influenced clinical practice guidelines. In 2013, she was awarded the Harry Keen Memorial Award by the International Diabetes Epidemiology Group of the International Diabetes Federation for her contributions to the field. Dr. Selvin has a particular interest in the interface of epidemiology and clinical and public health policy. Much of her work focuses on the study of biomarkers and diagnostics relavant to diabetes and its complications. An overarching goal of her work is use epidemiologic research to inform diabetes, cardiovascular disease, and kidney disease screening, diagnosis, and treatment.